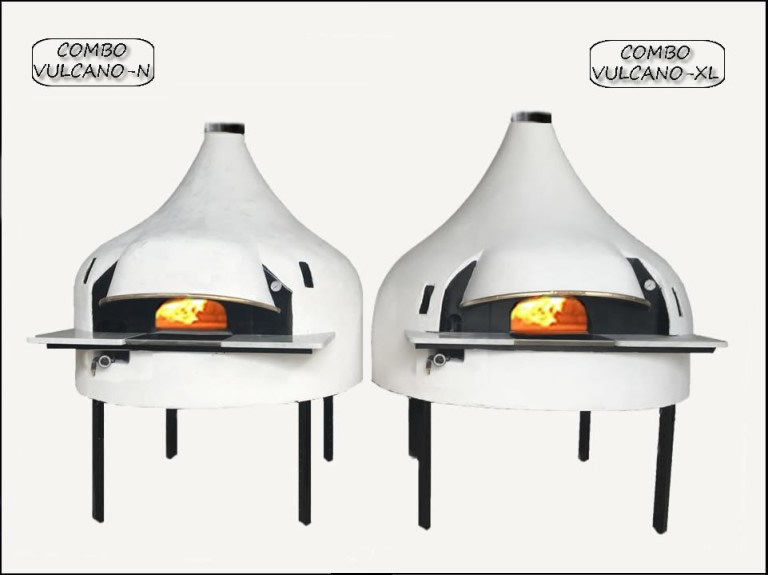 In the year 2000, to satisfy a growing market segment of ecologists, alongside the classical models, the “COMBO” oven born in our fab. 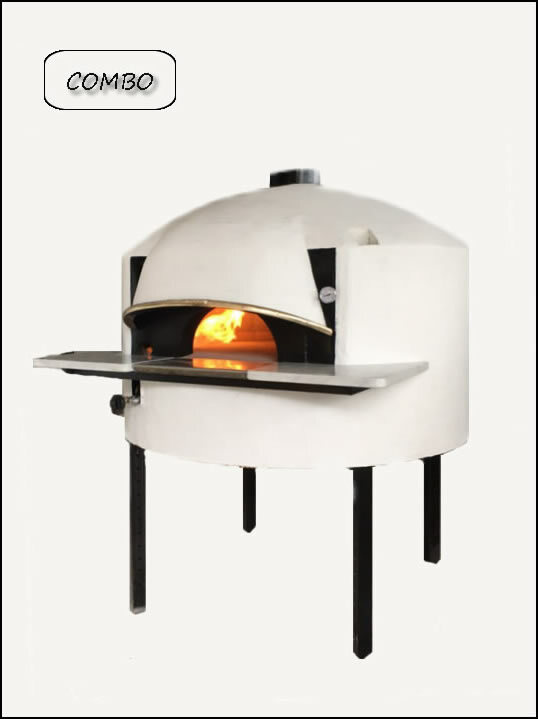 An oven that could be powered either with wood or gas, separately or simultaneously! 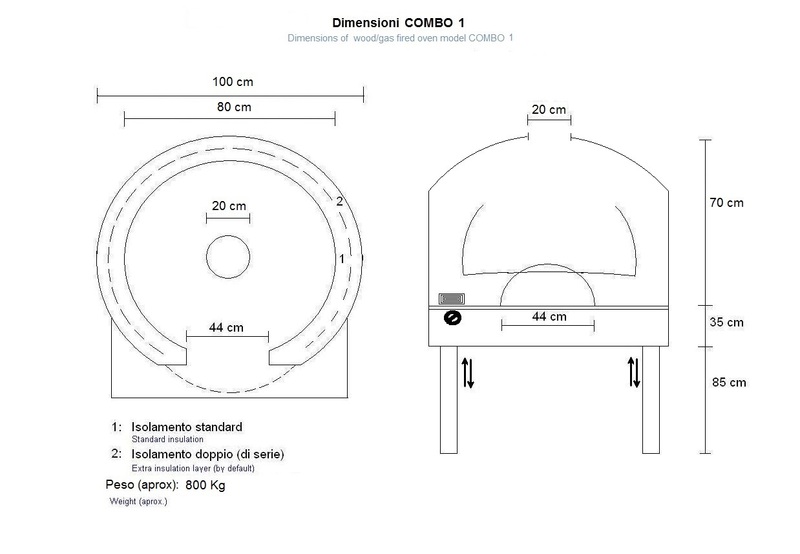 With thermal performance equivalent to the traditional oven, his versatility has seen the immediate interest of operators, encouraging us to improve it even more in the following years. 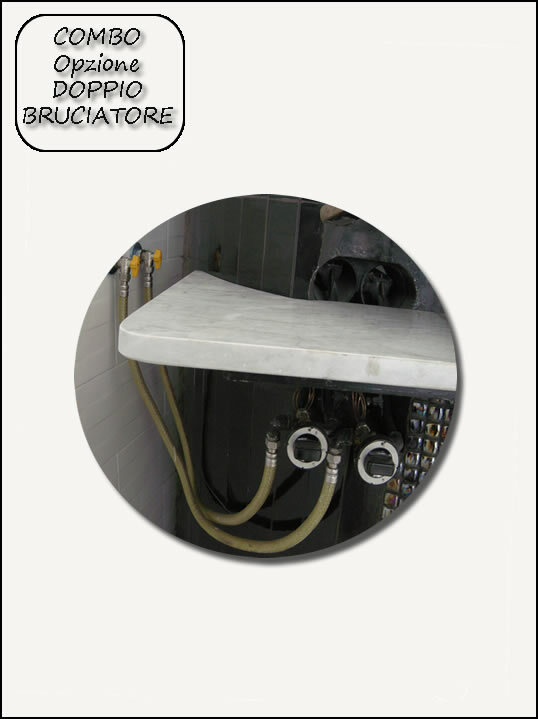 The COMBO oven represents the fusion between TRADITION and PROGRESS. After 16 years, we confirm with pride that has successfully sold all over the world and represents the flagship of our production, also obtaining coveted international certifications, such as UL. 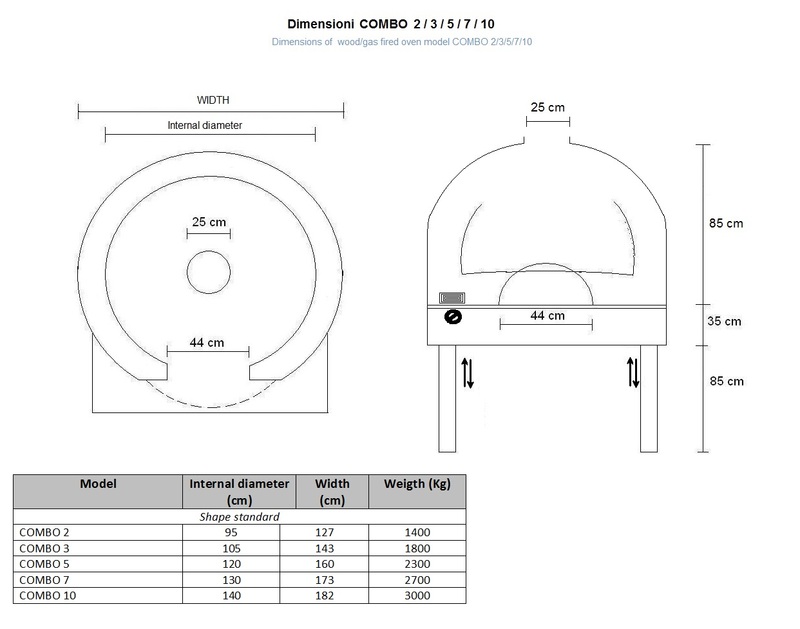 WHY USE THE COMBO OVEN? The wood itself is smoky and produces soot. The addition of gas improves the combustion of the wood itself, lowering the emissions into the atmosphere as much as the percentage of gas is increased till achievable zero smoke emissions. • Implies a reduction in stocks of wood. 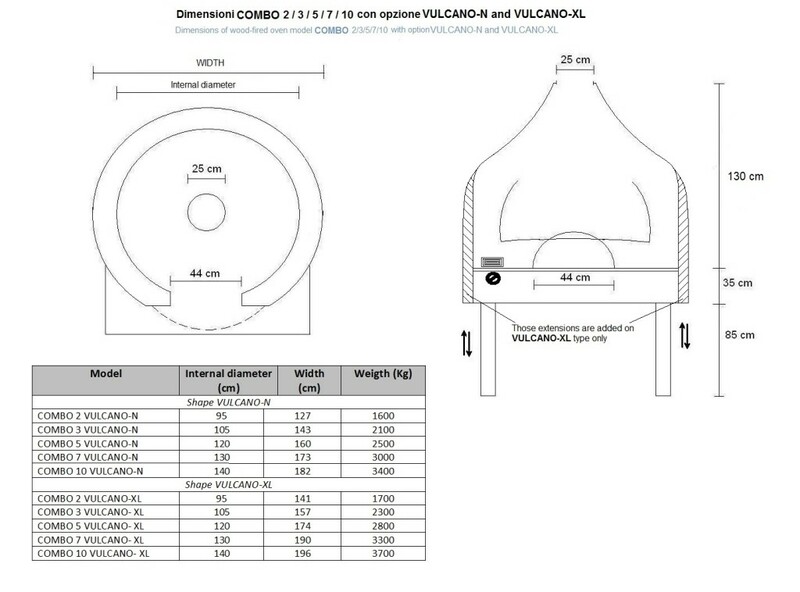 • Where you cannot install a flue. 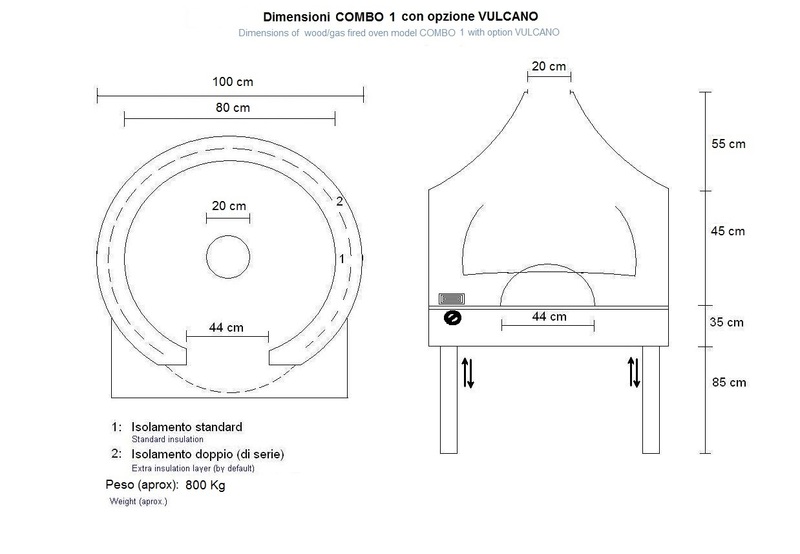 In short, it is equivalent to a wood-fired oven when powered by wood only, but with the possibility of using a dual power supply (gas) dramatically improves performance, emissions, consumptions and comfort in working with the oven.